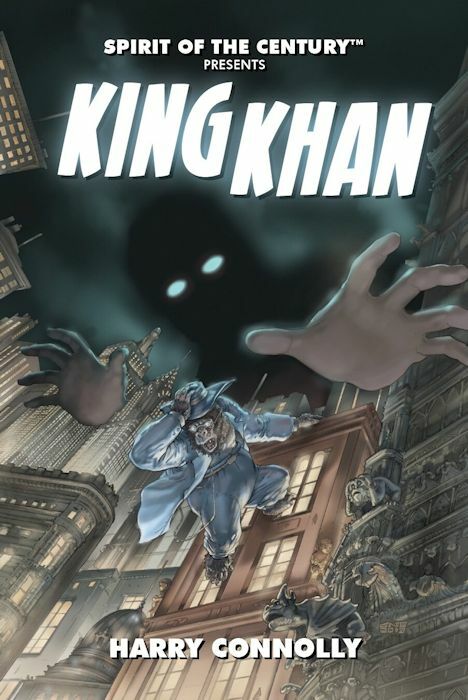 The covers have been revealed for two additional novels set in the world of Evil Hat Productions' Spirit of the Century RPG. The novels were funded by a very successful Kickstarter campaign. 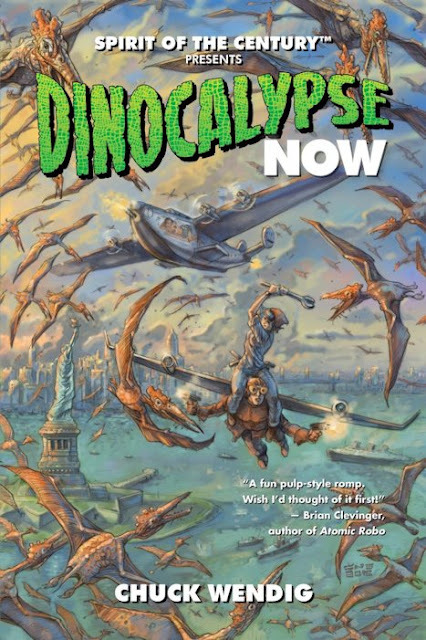 The first novel published was Dinocalypse Now (Dinocalypse Trilogy 1) by Chuck Wendig, which I loved (review here). There are two further novels in the Trilogy. More on those in the future. In addition to the Trilogy, additional novels were funded and I'm going to share covers for two of them now. Both of these novels will be available to the public in late 2013. 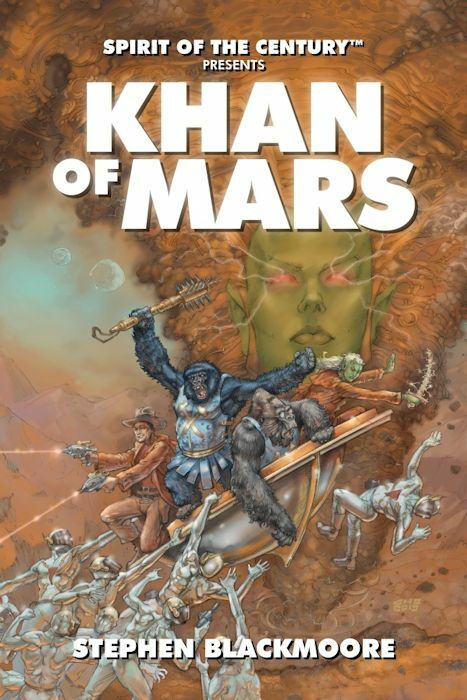 When erudite ape Professor Khan and rough-and-tumble cowboy Bulls-Eye Gutierrez are zapped away on a one way trip to Mars they are thrown into a world in chaos. Under the malevolent gaze of the Weather Witch, Princess Cyclone, our heroes face the intrigue and war raging across an alien world. Will they survive long enough for the other Centurions to build a way back home, or will they perish upon the shifting sands of the Red Planet, never to be seen again? I think these covers are gorgeous! Professor Khan is a fabulous character. I can't wait to see what Stephen Blackmoore and Harry Connolly have done with him. You can get in on the fun with Dinocalypse Now in eBook!